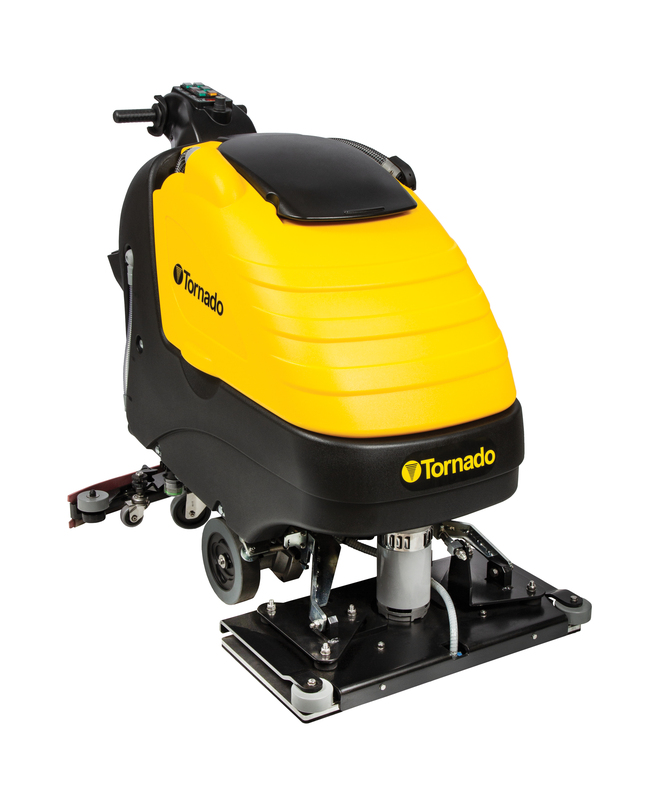 Tornado Industries is proud to present a proven orbital cleaning technology, now refined and combined with the ease of auto-scrubbing. 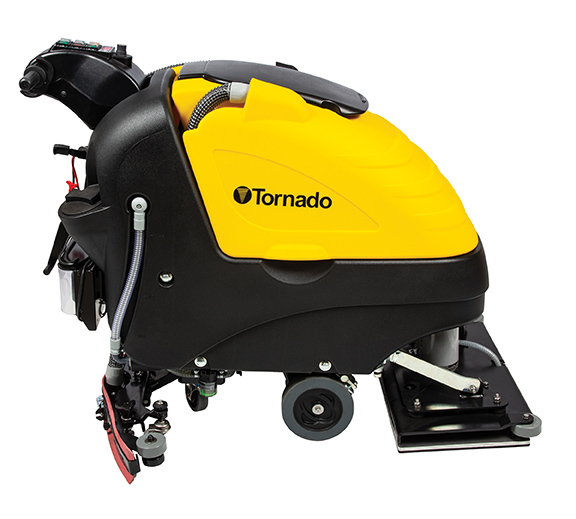 By merging the sheer power of an orbital cleaner with the convenience of an auto-scrubber, the Tornado OB 28/20 further adds to the comprehensive lineup of Tornado auto-scrubbers. 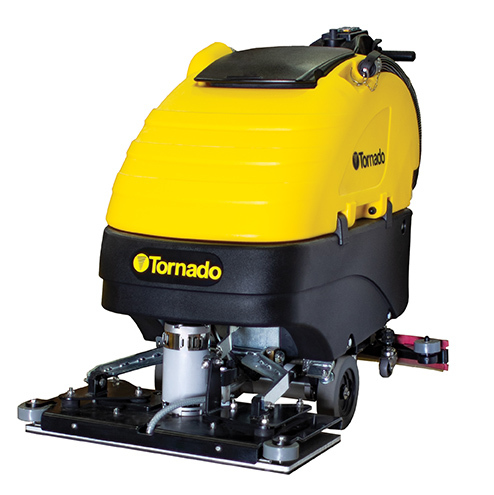 With high RPMS and constant downward pressure, this machine can remove floor finish and pick up the residue without the use of chemicals, cutting prep-time in half compared to the standard removal process. 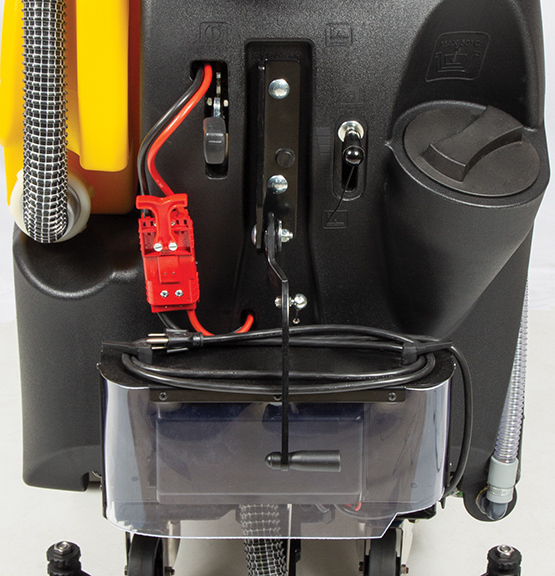 The power, performance and versatility are undeniable in this auto scrubber. 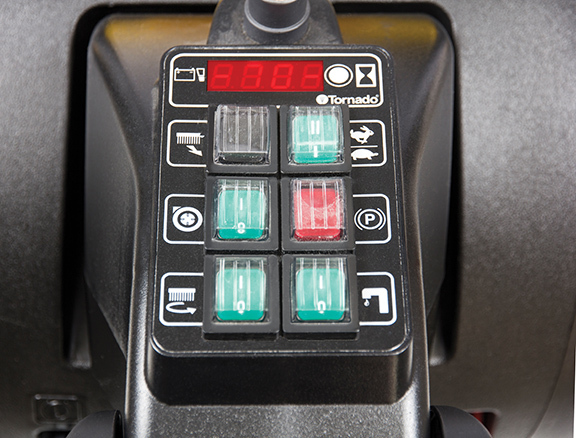 Tornado’s OB 28/20 is the perfect combination of Tornado quality and effective orbital cleaning.